Our Super Natural Coconut Shell, Coconut Oil is back by request and more moisturizing and beautiful than ever. It is made with Organic Coconut Oil and Organic Palm Oil, Shea and Cocoa butter, healing Aloa Vera Gel among a few other moisturizing oils. 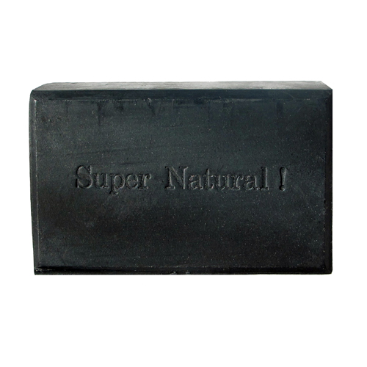 We use our very fine Coconut Shell activated charcoal for a soft, silky lather. This is a Super moisturizing soap and yet Super detoxing at the same time. Excellent for sensitive skin and all skin types. Attractive packaging is ready for gift giving. See testimony below. Hi there, Just want to tell you guys that I love your soaps! For someone with sensitive skin that dries and flakes easily, the soaps are gentle on the skin and super moisturizing - I feel a deep clean with every wash! ... and with the generous, hefty size of each bar, it is indeed value for money. Thank you for the wonderful products!